I never saw Autumn in England as a particularly impressive time of year. Yellow and red occasionally showed themselves but brown seemed to dominate. It generally went by unnoticed to me as the year quickly transitioned into winter. Japan is quite different, however. 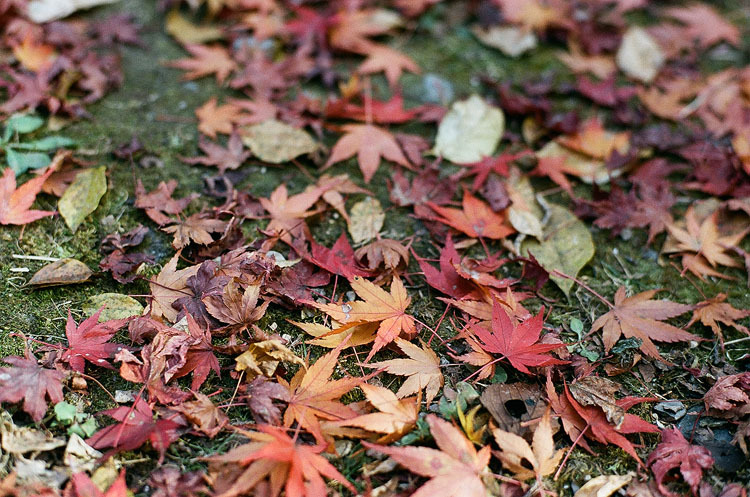 Not only does Autumn last longer, it's also impossible to ignore the deep red of the Japanese maple surrounding shrines and temples and the bright yellow of the ginkgo lining the city streets. 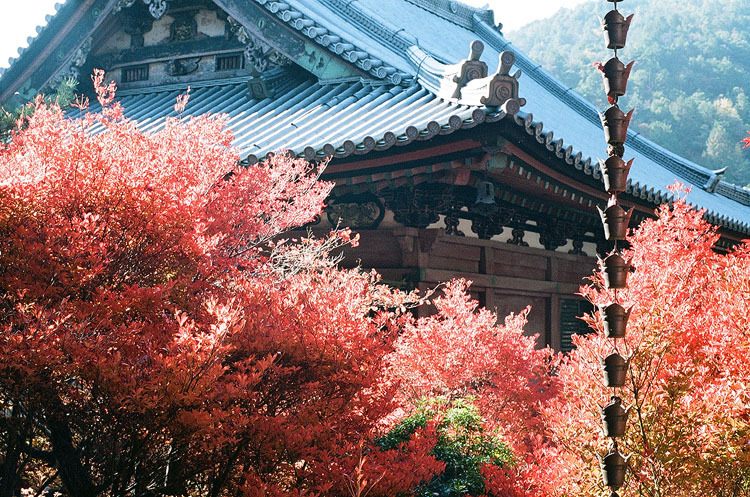 The first photo is from the Daigo temple complex in Kyoto. Daigo roughly translates to "crème de la crème" and it's not hard to understand why if you visit during either spring or autumn. 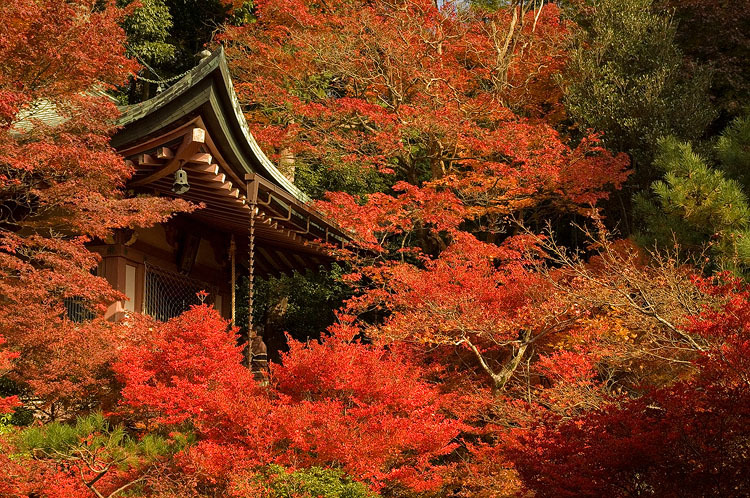 One of the pagodas was built in 951 and is the oldest building in Kyoto. Bentendo hall, Daigo-ji, Kyoto, Japan. 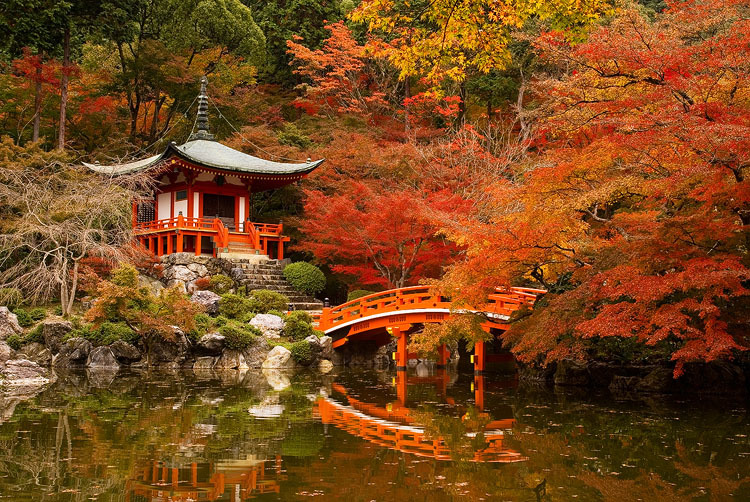 Bishamondo temple is another great place to visit in Kyoto during Autumn. Like Daigo, it is a little out of the way and so never gets as crowded as the sights in the center of the city. Japanese maple in Arashiyama, Kyoto. 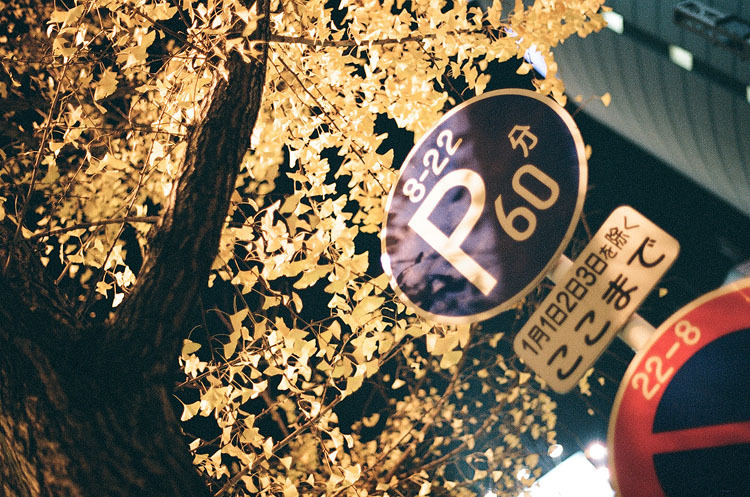 Kyoto doesn't have a monopoly on fall foliage though, even busy cities like Osaka are worth a visit. 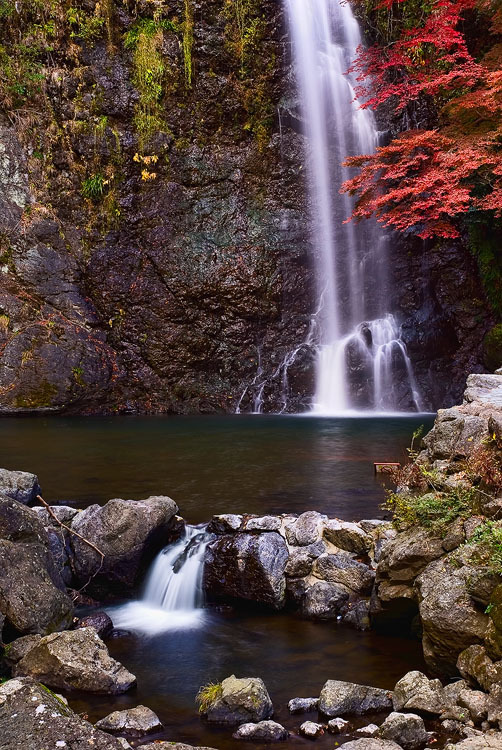 I especially recommend Minoh in the North of Osaka for the waterfall and Katsuo-ji temple. 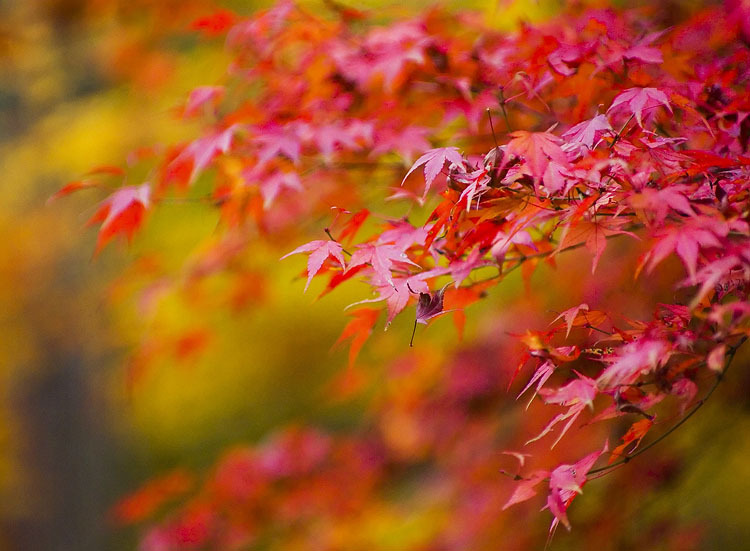 Have you ever visited Japan during the Autumn? Where are your favourite places? And the colors are stunning.